“Our talents are the gift that God gives to us... What we make of our talents is our gift back to God"
Salena: When you get up this morning what was the thing that you thought just got in your way? Did you think Ah I'm sorry busy I just can't organize dinner? What's going to be for dinner? Oh I'm so busy I have to get the kids ready. If I just had a little bit more money I could organize for somebody to be doing this thing that I don't like doing. We are always going to have stuff that get in the way. 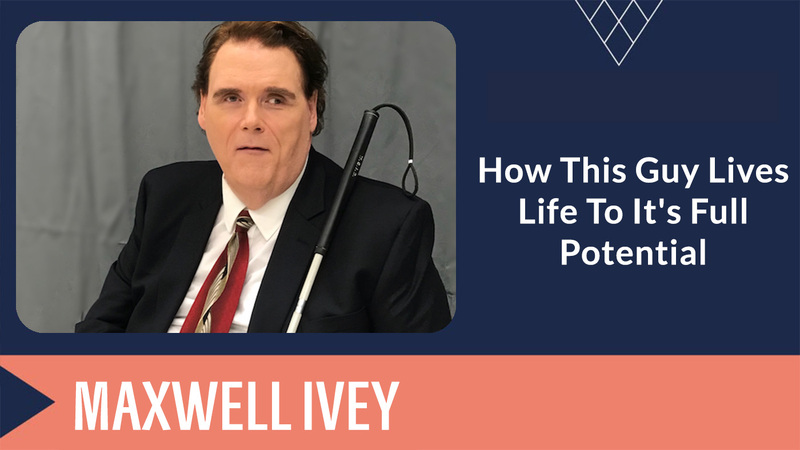 But today's guest Maxwell Ivey is an inspirational and motivational personal coach. And what I love about it is he also runs a business buying and selling carnival equipment and amusement park rides. Something a little bit different. But Max gets what it takes when you're retail. Max also has something else that he wants to talk to us about. It's about how we work on our goals, how we work on getting things done. But sometimes it's with a physical handicap and sometimes it's with a mental handicap. I'm not going to tell you anything because Max has got a fantastic story to tell. What I will jump in and say is I am already liking this guy because he has a greyhound cross Dalmatian called Penny a gray Mason. I really want to see a picture of that. You've got to put that on the blog Max. I have a greyhound called Kav who I just had to kick out of the studio because he makes so much noise sighing. I don't know about your dog Max but my dog gets like an old lady comes to me. Salena: And Greyhound Kev has a fantastic ability to do that. My greyhound goes, he's a pet therapy dog. So once a fortnight we go into an elderly care home and he'll stay there and get patted. He'll come up when you're working like if you sitting on the lounge and you're on the laptop. He'll actually come up and just physically stick his head on the laptop so you can not work. you know it's time to let me out so I could go chase squirrels. You know it's ...03:52 you will get up. Salena: So we are talking a lot about dogs. Max: The one point I wanted to make before I finish is yours isn't actually a trained therapy dog. I used to call penny my mindfulness coach and I called her that because animals will teach us to be in the moment because that's all they ever get. Salena: Yes. Yep and greyhounds especially like they sleep for 20 hours a day, so it's like when it's my time it's my time he says. Okay. Max: So to the point, I left the carnival business, after my dad died our carnival went out of business. We weren't prepared to run it yet. We hooked up with my uncle's carnival. I was not happy being on another person's midway. My Games weren't making any money. I didn't have the financial resources to purchase newer equipment, so I thought Max maybe it's time you finally go in on helping other people sell their stuff which is what I did. And of course I didn't know the first thing about being online. I did not know what a website really was or domain registry or a Java or any of those things I would have to learn. Max: If I didn't know everything I was going to have to learn in order to have a website, I would stayed on in carnival. I mean that wasn't even included you know. 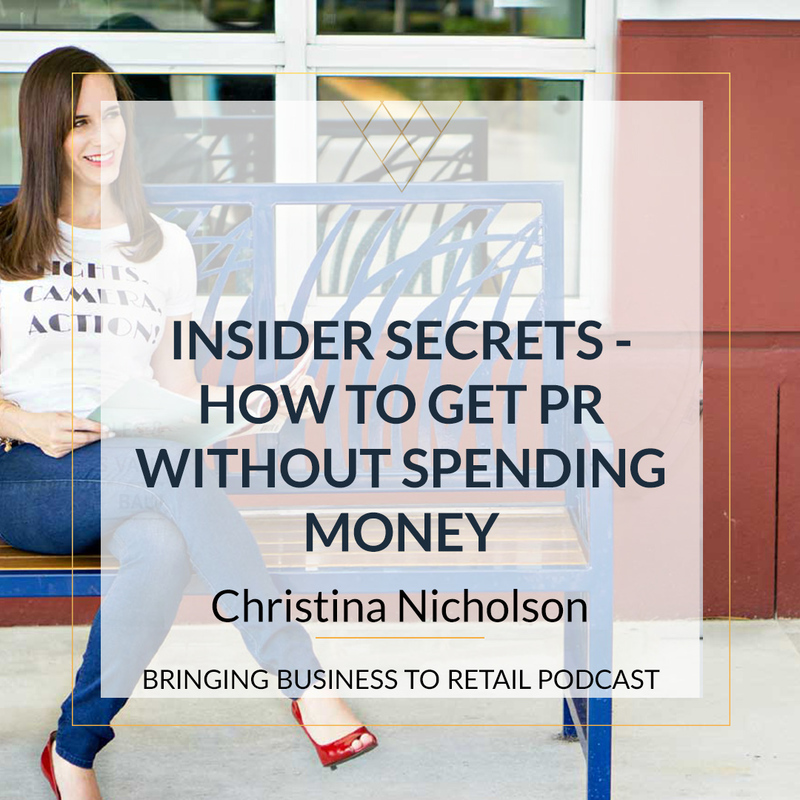 Having a blog, building email list or recording videos for a podcast. Those would all come later. But in the beginning I did what I always do. I asked people a bunch of stupid questions. Eventually somebody steered me towards the W3C school which is an online tutorial program for hdml code. And I went through the different basic steps, like how to create a page, how to create a link , how to embed an. And I gradually got to the point where I could build and maintain and grow my website. Funny story when I was picking my colors as a blind person I had no way of knowing what color names went with what color. Exact names or exact colors. So I chose yellow for the background of my page. I chose blue for the text, red for the links and orange for any weights that somebody had. I would find out later that the yellow was of ice cream and yellow, the blue was a Navy, the red was brick and orange was forest like something you see on the outside of a rough bar Octagon. Max: I was told this website was so vivid that Ray Charles, Stevie Wonder could have argued over it. Salena: What we haven't actually talked about yet is the fact that you have done all of these and you are blind. 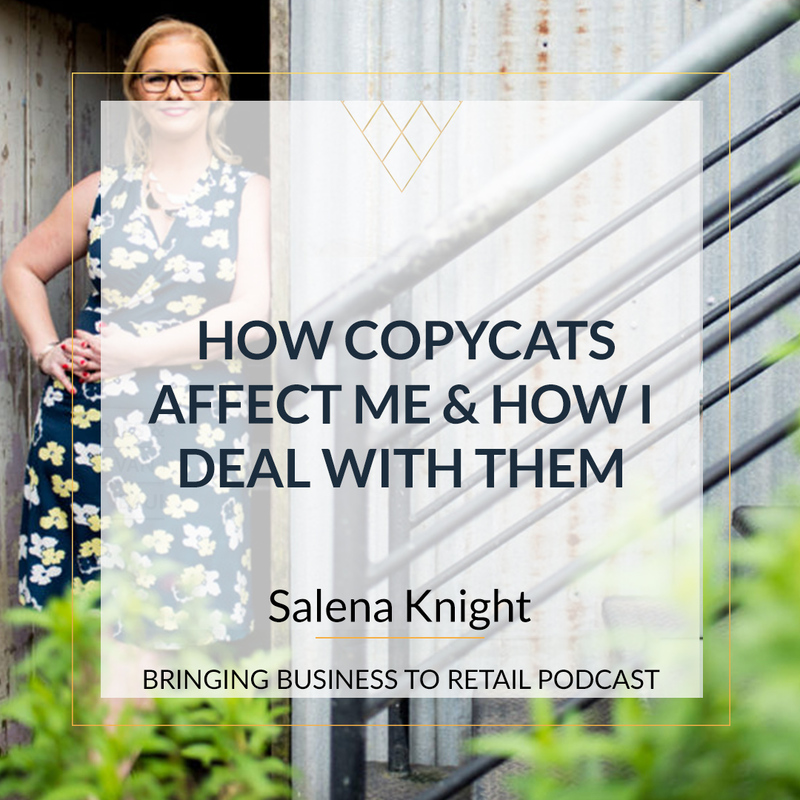 Salena: We fail to mention that, so people are probably listening on. So he built a website, so he built a business, hold on guys. He did all these when he couldn't actually see the screen. He had managed to go through these courses and build a website albeit one that was technical when you started out. Max: I almost steal that word technical, I like that. I know that's an old movie expression but I'm going to start using it when I tell the story. Yes yes. Max: But you know two things 1. I didn't let my disability get in the way. I felt like there had to be a way I could do this. Everybody else was do it using what was called a wizzy weight which stood for still stands for what you see is what you get. Obviously I couldn't do it that way. So I found another way that I could do it. And a couple of things about the website. Yeah it was not great but it was serviceful, it performed its purpose which was to give people a place where they could look at the pictures and occasionally at the video and find out all the information, and decide whether or not they wanted to learn more. You know do they want to get on a call with the owner or do they want to see it in person. So it did. So it really didn't have to be great. And you know I understand that more and more websites are out there so you know you've got like 3, 4, 7 seconds whatever the number is or look for it somewhere else. But I feel like it's long as I could get to the point where people could see it. As long as I was focused on sharing that information as much as possible, that it would work out. And it because I sold quite a few and still sell a fair amount of amusement equipment. And it's not easy to sell stuff like that. It's probably harder than being a blogger or a podcaster as far as things like that go. The other thing is I asked for help. You know I said is there a way that this could be done and people you know said hey, go to this group. Hey here's some code you can copy and paste or hey, eventually they said to go to the W3C which worked out for me. And in general that's my fallback position is, is that I ask and usually somebody will show up either with information or skills or even just some encouragement. I find that when you refuse to ask for help you rob the other person of the joy they would have gotten from helping you. Salena: I agree. I agree. We are only just talking about this the other day. A covering founded on a podcast when It was just chatting to somebody. We were talking about how when you help somebody else they get the joy out of that. When you help somebody is like when you give, you don't really give a gift for yourself more than somebody else, you give it so that you can get a set of feelings and help is exactly the same. Why do you think that we really struggle to ask other people for help? Max: It's education. It's what you're raised with. And I'm glad you asked this question for the few places where being blind is an advantage. I have written, I did speak with persons from an early age, they knew I was eventually going to lose part if my business, if not all of my business. So they started preparing me for that at a young age. So most of my life I've been told two things always look in the direction of the person you're talking to so they think that you're paying attention and that you're not being disrespectful andnever be afraid to ask for help because people will want to help you. And when you don't ask them you can end up in more trouble making things more difficult for yourself. So I've had people say ask ask ask don't be afraid. Whereas you and most everybody else in the world has been raised to think or you can't ask for help that will make you look stupid being...10:48 unprofessional. You're free to throw in your own negative adjective at any place. But you know I'm right. People just because we have all these all this baggage about how are they going to look or even for information. Salena: That is so true. I mean I was just thinking about; I don't know if it's pride, but I am one of those people who really struggle to ask for help. I'm happy to pay for help like that doesn't that doesn't bother me. But the receiving off free help I clearly have a block with it. I like that. I like that. I was just thinking about how I recently had to carry this great big box. We have 57 stairs up to our front door and I had to carry these great big bucks that arrive with the courier. And the courier actually said to me, do you want me to help you take it upstairs. And of course you know what I said. Don't you? Salena: I said no and so I struggled with these boxes and ended up leaving half way up the stairs on the landing. I said to my husband when you get home there is this big box on the landing that needs to come. Max: Yes, it's ego, it's pride and that's why people tell me you know they share with us, it's really freeing because it makes us look at the whole idea of asking for help from the other person's point of view instead of focusing on ourselves. Salena:Yes,I love giving help. I mean I think there's definitely a certain fine line that you have to put in place especially in business, where you can give away too much help. And I think looking at it from the other point of view is when you give free help, sometimes the recipient doesn't value that as much as they potentially could. But by the same token I love giving help. Max: What you said about free help is a valid concern and people have told me that I'm kind of weird because whenever somebody does help me for free, and not only follow their advice to use their information but I'm very grateful about the whole process. And I think that's again, because I have a different way of looking at asking for help in the first place. And there are a lot of people who feel like it is different if I pay and the more I pay the better I feel about having to ask. It's another strange thing about how our ego gets gets in the way of us moving forward. You know we could make a lot more progress if we would realize that we're not supposed to do this all by ourselves. Salena:This is so very true. And I think we also have to remember that whole concept of it takes a village. And the reason I say that is because literally just this morning I had an 8 a.m. podcast. My husband is away and I live in this beautiful little Culdesac there's only eight houses in that street and everybody gets along really really well. And so this morning my next door neighbor took my daughter to school because I was on a call. And he's perfectly fine with that, he enjoys doing it because he doesn't have any kids. We talk about it a lot on the podcast because he's essentially an extension of our family. But I also know that in most circumstances I can call on anybody in our street to help. And I don't necessarily feel like I'm abusing that relationship I guess, except when it comes to carrying a big box up the stairs. Max: Yeah. And now you made a really good point for business people, especially for people going from the brick and mortar world to the online world and trying to figure this online stuff out. There are so many people out there talking about offering value which is another way of say giving away content or information. And you do have to guard against giving away too much information for free. And I actually went through this myself because as you know one of the things I do that helps pay the bills, is like get other people's books on podcast and radio show. And that started with me doing it for myself six years ago when I didn't have a way to go meet people face to face. I thought any way I can get more exposure without leaving the house. And sure enough I found a couple shows on blog talk radio and it started down that road. A friends started asking me how I did it and I would send him this long, I mean really really really long emails telling him exactly everything I do and how I do it. My friend Michael Badcock from Oregon, he wrote me back and said Max, you can't keep giving away all this good information. He said if nothing else jjust take a little time to write an email. And he said you've got to create a course or you've got to start offering a service where, you know where people will pay you for the time that you've spent building up this information. And so that's how I started actually getting paid to put other people on shows like yours and mine. And it's been kind of weird to go from something I did in self defense to something that's now a thing where there a bunch of other people online were also doing the same thing. And I think to myself. You know, I only did this because I had to. I don't know why they are doing it. Salena:They are doing it to make money. They saw an opportunity they saw a niche and they chose to fill it. Max: Yeah yeah you have differences. I don't have the guts to charge a thousand dollars a month like some of them are doing. Salena:] Right. Well that maybe in your own money block which is a completely different story and a different rabbit hole to get down. I want to pull you back to the whole e-commerce online, being in retail. What have you found is the biggest challenge to drive people to your website? I mean selling secondhand amusement rides, there is not going to be a huge niche for that show. Max: No there isn't. No. And the biggest problem I had in the beginning was just getting people in the business to open my emails or answered my phone calls because it was like OK, here's this guy nobody's ever heard of before. Salena:What does think he is, and oh by the way he wants us to give him 10 percent of what we sell instead of selling our stuff for free. And let us advertise in the paper for him. Who does he think he is? So you know getting people to open those e-mails in the early days was very hard and I eventually figured out the best way to get them to open my e-mails was to give them something especially something I could give them for free. So you know a lot of people do a free consult, a free evaluation. I started offering people links on my Web site which helped with my google ranking because people that were searching for you know where do I book a carnival for my festival, where do I find a bounce house? The more links I put, the better I did for people looking for those types of businesses and a search engine. And it only cost me a few minutes to create the link to that person's business website. So you know getting people to open your emails, getting people to answer your phone calls in the early days is difficult. And just getting used to the whole idea of, well maybe I won't talk to them you know maybe it will be handled by a contact form or e-mails or text messages. Max: You know I have this problem when it comes to communicating. I grew up with a typewriter and then I transitioned to a computer keyboard and I still haven't really come around to text messaging and Twitter. If you ever get a text message from me you'll know what I'm talking about. I struggle with pressing return and you know making a bunch of short messages instead of one long one. A lot of times I find people who have come in this from the brick and mortar side of it, it is getting used to the way people talk and communicate. And it becomes natural to them is really a big struggle. Salena:I was just thinking about how easy life was you know 5000 Google algorithm changes again when we needed to do was put some links on a Web site to shoot to number one. Max: Yeah yeah yeah. So I mean that is the thing. It's how do you get people's attention. How do you get them to return or to reach out to you directly? It's a bunch of thing to your website, to broadcast. Appearing on podcasts, it's mailing lists. What is your free opt-in? I mean it seems like as you say four or five years ago it was much easier because there were lot less people doing it. But that isn't an excuse either as to why people should do it nowadays. And there are a lot of brick and mortar businesses who are really making the Internet work for them and a lot of cases it's by allowing people to decide what they want and then just show up and get it. Or decide they want and have you deliver it to them. But I think a lot of it is just it's new. It's different. It's not what you are familiar with. You know it's not like running as a newspaper or hanging a big banner out front of the store or you know put coupons into people's mailbox or into their newspaper. It's just a matter that there's still a whole bunch of different ways that you can get people to your website, to your business. And unfortunately, there is just one of those that works every time or that works for every business. So basically you're going to have to try several of these different options and find out which one actually helps you bring traffic. I talked to someone the other day who he wants to deal with only people in his local area or his contracting business. And so I told him to check out places like next door and...21:07 had to serve his network. And social media networks that focus on connecting people within a few miles of retailer as opposed to trying to connect you to everybody on the internet. Salena:I was just thinking the age-old pop up that says, give us your e-mail address and we'll give you 10 percent off your next order which you know, guys don't do it. If you've got 10 percent of it. All it's doing is taking the profit out of your bottom line. I was just thinking for you Max that would be tens of thousands of dollars potentially if you gave 10% off. Max: Well, it could be if you're talking about the sales price of the piece of equipment. But if you are talking about my end it still could still be tens of thousands of dollars. You know anybody wants to acquire Bradley rollercoaster. Salena:But what I'm trying to say is I think a lot of times we think very small. And that's where this concept of the 10 percent of it is. Yeah. It's just a little bit but at the end of the day they've proven that 10 percent is not enough for you to buy if you weren't going to buy in the first place. That is not the tipping point, the tipping point is not 10 percent. Max: Right, what you have to do is you have to give them a reason to actually want to pay you more. I'm not going to try to tell people what's easy I don't have that answer if I did, I'd be you know hanging out with Tony Robinson as some of those cats. But it is about figuring out what can you do that your competitors don't do or can't do that would make potential customers and clients not only pay you full price but make them want to pay you more. Make them feel like when they write that check that they cheated you. That's what you got to get to. You've go find something about you, either your personal story which I'm glad we are living in an age of storytelling. Because with a guy like me you know if you put me next to a bunch of other people, if it comes down to telling a story, I think I've got a shot. Salena:Between Penny and being blind and being in a carnival. I think he kind of got to. Max: Yeah yeah. But everybody has something about them or their business that's memorable. You've got to tap into what it is you do that's different or special or what it is that your competitors don't do that they should be. You know that's the hard part. 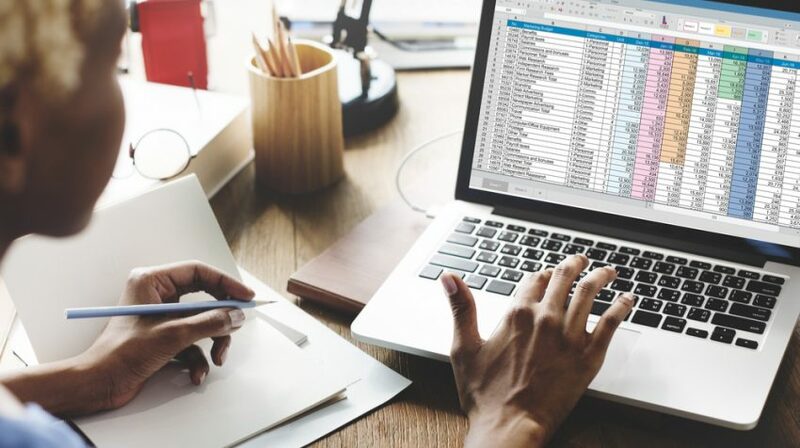 You can find that thing that makes you different, unique that makes you more valuable to potential customers and clients that you don't have to do at 10 percent off. Maybe you can actually raise the fees and still get work. Salena:Yes. And this is where we talk a lot about recommended retail pricing and how in the past I've been known in my retail stores to actually increase the sales price quite significantly because we had this little wooden toy. And I knew the guy who made them and his whole premise of his business was, I want wooden toys to be accessible to every child. I don't want you to have to pay hundreds of dollars to get a beautiful wooden toy. So he worked with a manufacturer in China. He actually; they built a little factory for him and he knew what was going on. Everyone was paid well, everyone was looked after. But everybody who came into my store thought his products were too cheap because they had associated my brand with a certain level of expectation. We weren't the highest you know the highest of the high, we were kind of up in mid range. And so we ended up putting the prices of his products up and then people thought they were getting great value for money. You know we put something that was $9.95 up to $29.95 so nearly doubled it. And people were like this is a bargain. Max: That's a perfect example of what I was trying to say with a whole bunch of words. Salena:It is and I think sometimes we need an example but at the end of the day if you can give people value, if you can give them that expectation which is what you said earlier. If you can give them that thing that they're looking for. And in my course we call it their currency when you know their currency then it's not about money. Currency is just a word. Max: And in today's Day's World often the more valued currency is time, work life balance, personal satisfaction. Max: Yeah yeah. You're right it is all about knowing what it is people in the internet, you have to figure out what it is that's important to them or is what many people have said. You have to find that problem they need solved and the question they need answered. 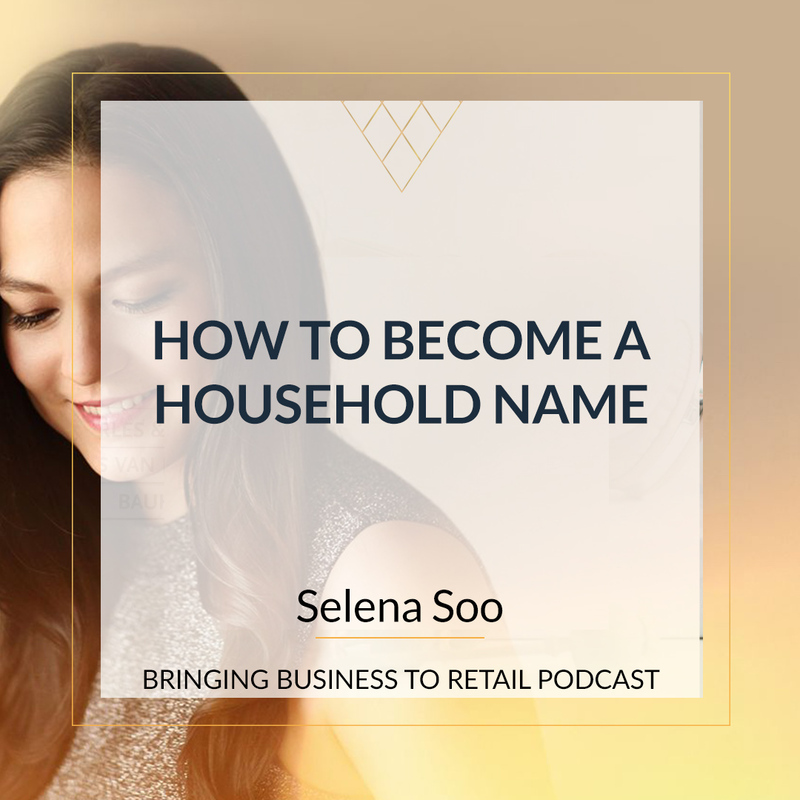 Salena:So let's just go a little bit away from the retail side and I know one of the things that you are really passionate about is people creating goals and taking action. So we are in the same camp there. I'm exactly the same. I believe you have to know what you want and then you take the action that you need to in order to get there. So how do you get your clients; so you have two businesses, you have the amusement park brokerage and then you've got a coaching business. How do you influence or encourage your clients to actually focus and take that specific action? Max: Well, the one thing that I start with with them is making sure that the goal is their goal. And that the measure of success is their view of success. Because far too often we're chasing other people's dreams. And we're using other people's definition of what does success look like. You know for example, I'm an author of three books. With my first book I wasn't thinking bestseller, I was thinking I want to help at least one person. And you know judging by the number of people who have read it, the number of e-mails I've gotten since it came out in 2014. I know that I met that goal. But I could have easily gotten sucked into the whole idea of oh if it's not an Amazon Best Seller you're a failure. Salena:Yes. If it's not on the top list of Wall Street Journal or things that people; New York Times best seller. Those status cues that people aim for. And I think we do a lot of that when we look at our advertising as well. Like I did in a master class just recently talking about an ad that I ran that got 45000 reach. But in actual fact it was a failure because I only had three opt in and it cost me $170 an opt-in. But I could tell you about my fantastic reach. You know the clicks that I got so I think you are very right there. We can often get sucked into these status numbers and they status metrics that other people are using and often those people had a completely different stage in their business. So I think your point there just really take that in. When you are creating these goals and you're setting yourself, make sure you are setting up yourself up for success and that number actually mean something to you. Or the end result actually mean something to you not to everybody else. Max: Right. And that's the best place to start. It's a lot easier to help somebody. if you're sure that this is what they're really wanting, that this is what's going to bring them joy in this result from their goal is going to make them feel like continuing to work on it. Because as you know a lot of times success or failure or the trauma and our passion and our continued interest in whatever that goal may be, you know, one of the reasons why most diet clinics advertise that you're going to lose so many pounds in the first week or the first month is because they know it's you don't lose so many pounds in the first week the first month you're probably not going to come back next month. They want you to see some early successes. So that's the big thing is make sure that if they're focused on a goal is their goal. And then from there you have to help people avoid overwhelm because you know we've talked about it a couple times now. How many different things go into having an online business? And some of them you need some of them you don't. Some of them will work for your particular business sense and some don't. But the thing is what I tell people is to make a list of all the things you think you need to be doing. And then look at the list and divide them into four categories and ask yourself these question. Are these questions about every item on your list and put them in one of four categories as you asked these questions. So what I say is first look at something on your list. Can you do it? If you can do it then take action immediately. Don't think about it or talk about it or say yeah I could do this or I'll do it next week. Let's do it right away. If you can't do it then can you learn it? And if it's something you believe you can learn then you need to contact, submit or sign up for workshops, get the college catalog. Where do you have to be to learn that with your skill? If you can't do it and you can't learn it or you don't believe you can learn it. Because trust me, these things are going to change the more you go on your journey. If you don't believe that you can do it or learn it, then can you get somebody else to do it for you. And that's where all the asking for help comes in. Because when you ask, people will do it for free or less than they usually charge. Sometimes you may find a family member or a relative who can do what you need to get done Sometimes the thing you need to get done is not all that big. It's not something that you can do. I mean I can't tell you how many times I have called people asking them to have one of my family members come into my room and go hey, can you please help me solve this...31:21 so that I can fill out this stupid form? So if you can get somebody else to do it then send them an email, go to their house. Say hey, I need help with this. I would appreciate it. Or I need to know what you would charge me to do X either this one time or every month. So, but if you can't do it, and you can't learn how to do it and you can't get somebody else to do it for you. Then put it off inside and do your best to ignore it and focus on the things you can do something about. Salena:I usually recommend to my clients that they use trelo31:59 Have you used trelo? Max: I have used trelo but I have found that some people get caught up in the trelo and forget to actually focus and do the actual mental; actually just thinking about each item when they are using trelo. It becomes more of a mechanical thing than a more thought process. But I think it will be something that maybe they can use after they go through the process. I just have a feeling that artificial things like trelo and other to-do list creators, that it takes the focus away from really thinking about, well, can I do it or can I not do it? I am honest enough to admit that when it comes to new Apps, websites, technology, I am a bit of a technophobe or a late adapter for another word. Salena:Well that's kind of understandable. It's a lot for you to learn. It's a lot more difficult than...The reason I use trello is I tell my clients that every time they have a great idea, that this is a great idea that create... In fact I make them create a board that says, sells great ideas. Maxes great ideas. Because we get so caught up sometimes in these fantastic ideas, oh, I heard about chat box on the podcast. I'm going to go and create one. You've got to give it 48 hours. Any great idea has t be left on the trailer board for 48 hours. When you can come back and by then you have a little bit of bias, a little bit of rationality. And you can go, hmm, even that is still a good idea? If so what are the next steps that I need to take? Max: Well I can see the values, it's just not something I would do personally. But one of the good things about trell because I have a few friends that use it, is that once you set it up with a client and they make you part of, I think they call it critique. Any time they create a board you are going to see that. So this idea that should wait 48 hours before they do something with it...You know when they come to you a month later or a week later ago, I did this and this and this and you can actually look back and go, hey you need to wait 48 hours. Max: I but may not use all these technologies but I do follow it. I've got some friends who are very, very, very tech savvy and who automate the heck out of their businesses. It's just not me and sometimes that does cause me problems that I wouldn't have if I would just go, okay Max, I know there is a learning curve. I know you would prefer to do this the less complicated, the less technical way. But this particular app will truly save you time if you just take the medicine and learn how to use this and from now on. The interesting thing is, we're having the conversation about this. You know I found out about...35:24 and use it to record a podcast for the first time within about four hours. And you know what we are doing this conversation on zoom. You know I found out about zoom and used it to record a podcast within about four hours of hearing about it. And you know what the difference was about zoom and trello Zoom was if I don't do it, I'm not going to be able to record my show and I tell somebody to do a schedule for whatever time the day is, I'm sorry I can't be there. I had to get with lead persons exactly and it was also in...35:56 versus some point in the future. I knew; as they say, you got to come to the house at 4 o'clock or 3 o'clock, whatever. I found out about zoom, create an account, used it for the first time to record a podcast. The other things that were kind of crazy about that is not only that I was using zoom for the first time. It's the first time I had ever done my show without my co-host. That was why I was using zoom in the first was it was the better option to skype and a third party app to record the conversation. And so there I was you know, doing what I was always doing. And it felt good when I was over with it. And since then I've become a real fan of zoom. I love all the keyboard commands. It seems to be a lot more stable that skype, although we are seeing more people move from skype platform to zoom and how long they hold up to it. But it was typically built on Amazon's architecture on the backend. And I'm hoping it's going to stay there because it's a very good platform to have conversations. Because that's what all of this is. Can you get somebody on the phone at skype or zoom where you could talk to them as conversation and find out what it is they want and need so that you can make an offer that they just cannot say no to. Salena:In fact, we are having this recording on zoom because we tried Skype and it did not work. Max: Yeah when you posted that link and it said if you can use zoom we could try it over there. And I was like...skype didn't work. But there are some places that this doesn't work. Skype system is good but there is a...called37:59 similar to zoom that is absolutely unusable. That's one of those problems that I run into and a lot of blind people run into. Quite often somebody must say with their website that it is accessible to speak. But what they mean is that it can be used. But accessible is a whole other term. What that means is that it can be used easily without excessive thought or without having to ...38:31 trial and error to figure out what does what. So all these buttons, links with no names or where every link has the same name, those are frustrating as heck. Pressing screens, I don't find the person who came up with the idea od screens has a website that automatically can refresh itself. I haven't met that person. I will be fired for that. Salena:I'm with you there and I would have no idea if my website was in any way accessible. So I apologize if you went there and it's not. Max: No, I did not get a chance to go to your website but I'm sure it's going to be fine. Because most marketing people are generally pretty good. The only thing I seem to run into with people who are marketers in their online business is I hate the...39:31 cards because those are difficult at best to use. I also hate those pop=ups where the button to get there to go away is hard to find. I'm like..well I've seen more posts where sighted people are saying they hate those too. So maybe they will go away. Salena:I'm with you on that one. I'm in that camp. I hate it when you kind of close them down. But you just highlighted a point which is that, in your just getting up and getting through life, you have all of these obstacles. Do you ever find that it just gets you down? Max: I don't that down is quite the correct word but I do know it gets me tired. There are days where I feel like please, why can't I just pay somebody else to do this. Or why isn't there something easier to do? There are days when it just depends on what you are having to do and whether or not website is playing nice with your...40:35 I am assuming that like many of us you have a fair amount of time used in social media? Max: My worst days are when Facebook updates their website. Because anytime a company updates a website that I use often. The first thing that I do is to recognize that they've changed it. And second figure out, okay how do I find my way to the same stuff that I need to use every time I come here? How do I find that stuff again using the techniques that I have within my stream...41:07 And Facebook is the worst when they change update to the site where they actually move stuff around to make it harder to find stuff. Just today I was trying to embed a video from youtube channel where youtube is owned by Google. But I was trying to find the embed thing so that I could put a video into a blog post I was working on It took me 30 minutes to find out where youtube moved it. Salena:I don't even know if that's a blind person issue. I have that issue and I can see perfectly well. I'm just like where did the...go? Where is it gone? Max: But that's one of the things that I've been kind of encouraged by over the years is, that quite often I think that my problem is blind person's problem. And people go, no Max it's not a blind person's problem. All of us have that same problem. One of the most commented on post that I ever wrote was the post I wrote for the midway marketplace. I really need to re-post that over on the bling blog because it's such a great post. I was telling people about how I managed to use Pinterest which this is the focus to...42:25 of the online image sharing. But Pinterest was still the king in that area. I wrote a post about how to use Pinterest and what I wanted from people that use it to make it easier on people like me. So that I could play it to you. And the first thing was, people, use the description box. You got 500 characters so please tell me what the heck it is that you posted. Instagram doesn't allow you to do characters but it does give you a caption option. So you can tell people about what they are looking at. And I have been told that those captions and descriptions are also being indexed by Google on the search engine. So when you use those to find people you are also helping people find your profile and your post on those social media accounts. They use images of video than they use text. Salena:That is really good to know and it makes sense when you think about it logically. I does make sense, doesn't it? Now you and I could talk for ages. We've covered a lot of topics already but I'm very mindful of your time. And I just wanted to get you to leave our listeners with one piece of inspiration, one piece of information. Just something that they can take away with that if they are listening to this right now, and they are having a really crap day or they've had that really painful customer. I don't know, some crappy thing that happened in their day. What can you leave them with to say, you know what it could be worst? Max: Well, I don't know I want to tell them it could be worst. I'd like to tell it could be better. Here are a couple of things. 1. I could talk to you for much longer and time isn't really my problem or your problem. But I know you probably want to keep this thing for less than an hour. But the thing is being positive. Being healthy. Even I don't do it all the time. Because I do it most because 1...44:31 I have decided that if every person I meet, every experience I have, every event, there is something positive. Now when you are looking for something, anything, how do you find it? You decide that it's there and you keep looking until you find it. I mean if you lose your TV remote in your living room, you are going to pull those cushions off the coach, you are going to look behind the TV. You're going to pull the drawers out of the table. You are going to look all the places that you think it should be until you find it. Of course, with TV you have an advantage. Some point you are going to find it and if asking the rest of the family to come help look doesn't find it, you can decide just to be happy watching whatever channel is on the TV when you've sat down. Salena:Or you could get up and switch it manually. Max: We don't do that anymore. But that's the thing you have to decide that there is something positive in the bad day that you are having. Maybe there is a less you learn for next time so that you know what to say to that angry customer the next time somebody makes that same particular argument. Maybe it's inside a ...45:47 having the same discussion over and over again. And you issued a policy and you publish the policy so that everybody knows that they are not to try you on that subject anymore. There is always something positive to come out of it. Either you can decide the way you do things or you can find some good in what just happened. A couple other things I do all the time are I tell people is that if you don't ask they can't say yes. So when it comes to pitching clients or back again asking for help, most people do want to help their friends, their neighbours, even strangers. So if you don't ask they can's say yes. This is something my dad always tell all the time when I was...46:33 to customer affairs. I would say I don't want to make any more calls. They are mean to me. He keeps saying no. I've had people get insulted that I even call them as to why they need to book my car in the first place. He would say if you don't ask they can't say. He'd say shut up and make the next call. And that was back when he would give me a list of names and numbers and I would type them out on a brail writer. And then I would have these stacks and sheets of brail paper. And I would be reading the brail and making the call and write down whatever they said to me, or whatever I needed to do for him on a...47:22 I don't know if you have ever seen one or not. It's about twice the size and about three times the weight of an old manual typewriter. So that is just another example of if you decide that you are going to succeed, you are going to get this done, there is always a solution. And that's kind of what I'm really bout People say Max there is no excuse. I'm about finding solutions instead of making excuses. And it all comes from the fact that so many people can say hey, if Max can do this, then what is my excuse? Salena:And I think that is the perfect place to end that conversation. Because I'm going to say to you the same thing. If Max can do all these stuffs, stop winging about how you are too busy. You can't get the text working. Maybe you need to ask somebody. Maybe you just need to just go out there. Like Max said, is this something that you actually need? Is it a goal that you need to achieve, then you should just sit with that and reflect. Well, thank you so much for being on the show Max. I know you have a podcast, so where can people find that? Max: Well they can find me at the blindblogger.net. And if they want to look for the podcast or any of my videos, they can look for Max Vey. I'd like to meet you people and make you friends and you never know what's going to come from saying hello online and become somebody's friend. You never know where that's all going to lead. Find out some things that I'm doing now. Because somebody I met online said hey, Max have you ever thought about.. Or Max I dear you to write a book. A lot of times that's work started, started by somebody introducing themselves either through Facebook or Twitter. We become friends and we help each other, we encourage each other. We challenge each other. So theblindblogger.net. Salena:Fantastic. Thank you so much guys and head over to Max's website, watch his videos if you feel like you need that little dose of inspiration today. Maxwell Ivey is an inspirational and motivational personal coach who also runs a business buying and selling carnival equipment and amusement park rides. A native Texan, Max loves to sing and spend time with his unique and crazy dog, a “Greymation” named Penny (half Greyhound, half Dalmation). Reading, singing, and blogging are among Max’s favorite things to do. He especially enjoys helping others find their bliss.